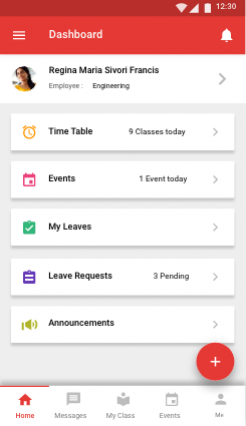 Teachers can take attendance, students can view timetable, parents can view attendance, principal and admins can send messages & announcements etc. using the same app. Though the traditional login mechanism with the username and password is preferred by the majority of users, the One Time Password (OTP) login via SMS and Emails is the favourite of all the app users. 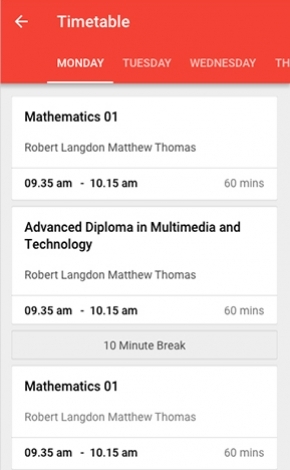 So we have incorporated both of them in the school mobile app to help you choose the one that suits you the best. 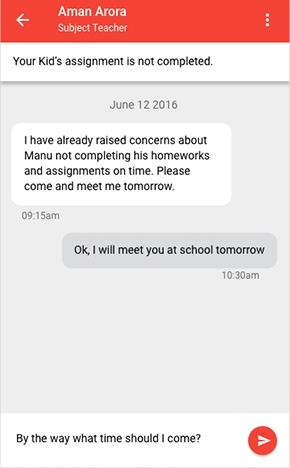 Send messages to students and parents, pay fees, take attendance, request leave directly from your mobile. With the all-in-one messaging platform within the app, you can create a 'WhatsApp' for your institution with more control on the message delivery and response process. 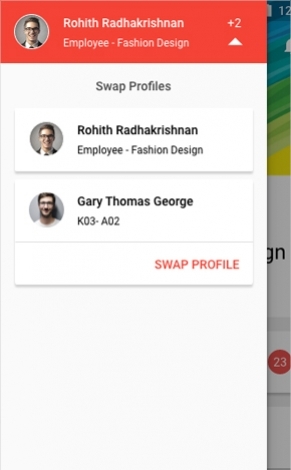 Parents can switch among different profiles while being always logged in to the app. The fees section is the most important part in a School Management ERP. When you can do everything else through the app, wouldn’t it be nice if you could pay the fees also through the app? Online fees payment would be a real icing on the cake when using the school’s very own app. 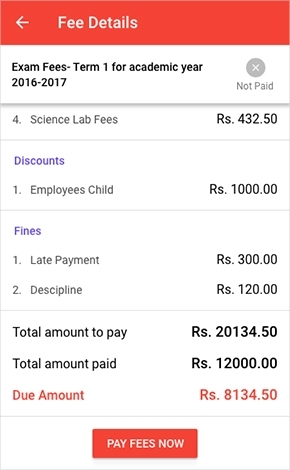 So we have accommodated this use case too, by providing a payment option for the Parents in the app Itself. Every institution will get their own app with the logo of their institution as the app icon, name of the institution as the app name, and a preferred color theme for the app. Also institutions can create custom pages in the school mobile app for Chairman’s message, Founder’s vision, About us etc. 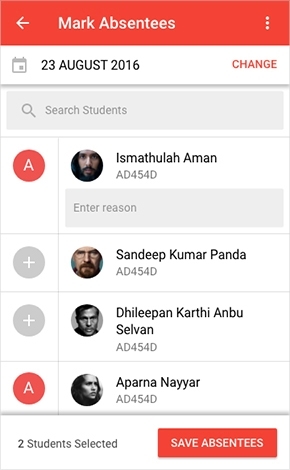 Imagine a scenario, where you would have an app for your school in the Android Play store/ iTunes store, that the user (parent, student, and teacher). 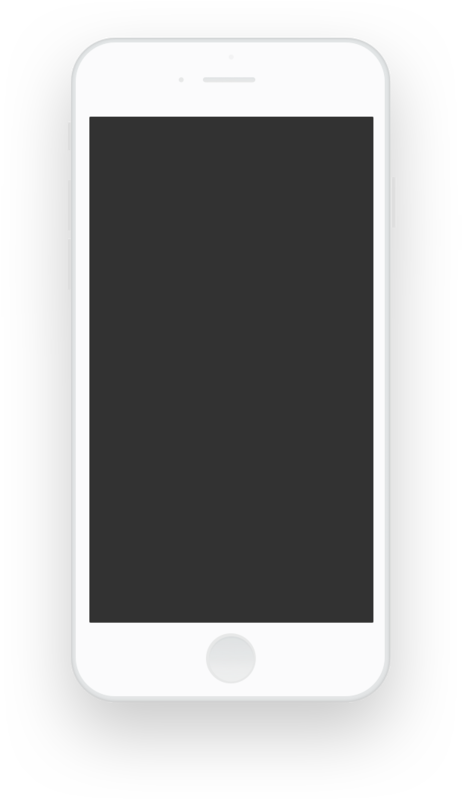 Yes, we are talking about an individual app for each Fedena instance as soon as the Management decides to go with the mobile app. This would certainly speak volumes about the Schools commitment and attitude. 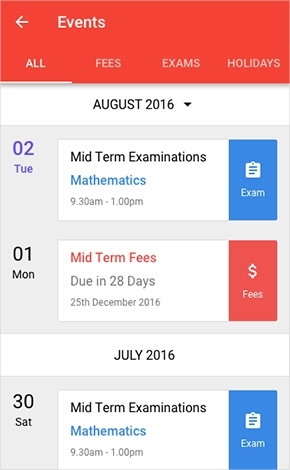 Teachers, Parents & Students can download the school management app from Google Play- store and iOS App-store. 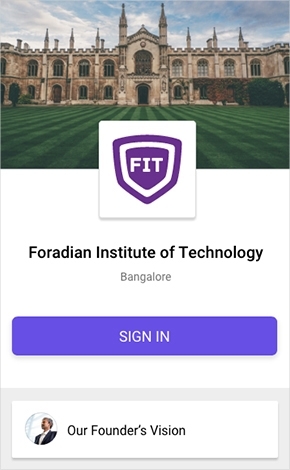 Fedena School Management App is an ideal solution for your institution to grow to next level. In today’s connected world, give the best digital tool to your teachers, students and parents. Enjoy the benefits of having a dedicated school mobile app in your institution’s name.